STOCKHOLM/NEW YORK (Reuters) - Jessica Reznik likes IKEA's prices but not do-it-yourself. So when the Swedish furniture giant said a handyman on odd-jobs site TaskRabbit could assemble her new dresser and nightstand in her New York apartment, she jumped at the offer. Reznik, a 24-year-old teacher, is just the kind of busy millennial IKEA hoped it would attract when it bought TaskRabbit https://www.taskrabbit.com in September 2017 as part of a drive to offer a range of services complementing its trademark flat-pack furniture. The world's biggest furniture retailer's focus on services is a major strategic shift it has been forced to adopt as waves of new competitors in an increasingly online world erode its dominance. It seems to be working. 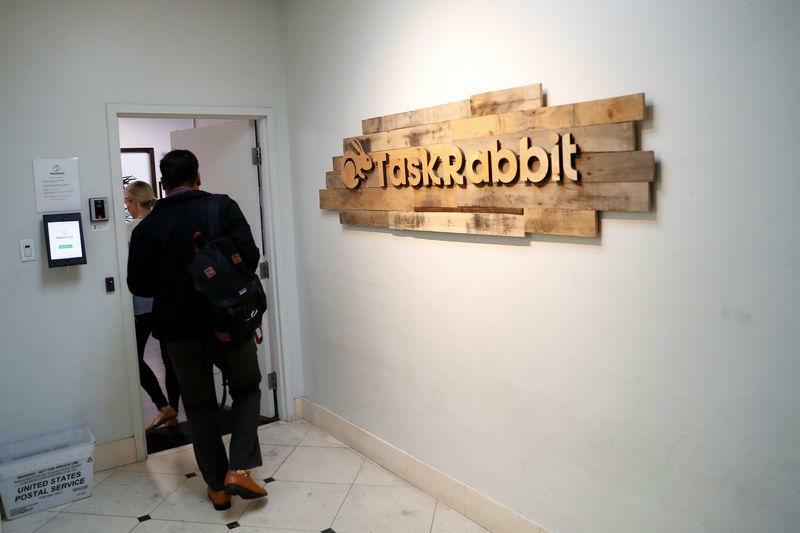 In the first readout on TaskRabbit's activity since IKEA bought it, executives told Reuters the number of jobs done by TaskRabbit handymen had more than doubled and 10 percent of the tasks were furniture assembly, up from 2 percent previously. Jesper Brodin, chief executive of Ingka Group, which owns most IKEA stores, said TaskRabbit was expanding into interior design and looking at services such as furniture repair to give IKEA an edge, while TaskRabbit's customer data could help IKEA come up with new ideas for furniture. "As this community grows, it's not only about fixing one or two things but actually to add professionalism in interior decoration, into 'life at home' practicalities," Brodin said at TaskRabbit's San Francisco headquarters. "TaskRabbit is a super interesting business case because it is scalable, not only geographically but also into services at home," he said. Winning the battle for online shoppers is crucial for IKEA. While online furniture retailing was relatively slow to take off, the market is now flooded and the battle is increasingly in after-market services. The United States is IKEA's second-biggest market behind Germany, with 14 percent of its sales. GlobalData Retail analyst Neil Saunders put the overall U.S. home furnishing market at $282 billion in 2017. But he said IKEA's share was 2 percent, down from 2.2 percent in 2014 and well below Germany, where it has as 12 percent share. Pure online furniture retailers such as Germany's Home24, Britain's MADE and Wayfair in the United States have been growing rapidly. Online generalists such as Amazon are pushing furniture while some hypermarkets are also branching out into home furnishings. Walmart and Wayfair have also started offering inexpensive assembly services in the United States through TaskRabbit rival Handy https://www.handy.com. On Monday, home furnishings retailer Crate and Barrel announced a partnership with Handy, offering furniture assembly and home decor installation across the United States. "Anyone who sells furniture will have a delivery service," Kantar Retail analyst Ray Gaul said. "The difference will be that instead of having just a delivery service, IKEA are trying to give some assistance in designing your space, and that's where TaskRabbit can be helpful." IKEA, which had global sales of 39 billion euros ($44 billion) last year, made its name selling inexpensive furniture mainly to people willing to travel to its vast stores, lug their merchandise home and assemble it themselves. More shoppers now prefer the convenience of buying big-ticket items online and getting products delivered, assembled and installed. In Reznik's case, she paid $81 to have her furniture built, with TaskRabbit taking a 15 percent cut. Since IKEA's acquisition, the first in its 76-year history, TaskRabbit has expanded to all 48 U.S. cities with IKEA stores, up from 41. In Britain, it has moved beyond London to 11 more cities and it launched in Toronto, Canada, in September. Since it was founded in 2008, TaskRabbit says its vetted "taskers" have assembled 545,000 pieces of furniture, moved over 340,000 households and mounted more than 190,000 TVs - though it did not give a breakdown for before and after the IKEA deal. "We are convinced this is a way to access new customers in our cities," said Brodin, who aims to take TaskRabbit to more countries. "The convenience customer today has so many more choices, and they are used to getting a quick answer." But having TaskRabbit freelancers associated with the IKEA brand also brings risks, even though they are vetted. "You don't know if they are a good person or not. And, like it or not, it's associated with your brand. So if they steal something, or worse, it's back on IKEA," Kantar's Gaul said. Brown-Philpot attributes much of TaskRabbit's growth since the deal to links on IKEA's website. "Once we closed the acquisition, yes, the branding happened: there was co-branding in the store, there's opportunity for people to see TaskRabbit in the catalogue, we've been on a couple of commercials," she said. "But what's really happened is the seamlessness, the integration." IKEA has offered assembly across its markets for more than four years, mostly through service partners. It has also entered partnerships with Airtasker https://www.airtasker.com in Australia and UrbanClap https://www.urbanclap.com in India. But TaskRabbit is the only platform it has bought, and executives say that brings IKEA another benefit: it has access to TaskRabbit's customer data. "The knowledge of the taskers and their interaction will be some sort of asset for us in the future for feedback for product development," said Brodin. "That was not part of the strategy, but that's something we are going to explore."